For Opera in America you can’t hit any higher note than the Metropolitan Opera stage. And that is exactly where Gretchen Krupp, BM ’15, will stand on Sunday, as a Grand Finalist in the Metropolitan Opera National Council Auditions. Krupp is just one of 9 singers, chosen from across the country and Canada through a series of district and regional competitions, to audition at Lincoln Center. Accompanied by the Metropolitan Opera orchestra, she will perform before a sell-out audience that will include opera company director and agents. The experience means high-level exposure in the profession, with invaluable career connections. Gretchen has made it through preliminary rounds twice before, and she says this is something she’s dreamed about since watching the MET documentary, The Audition. 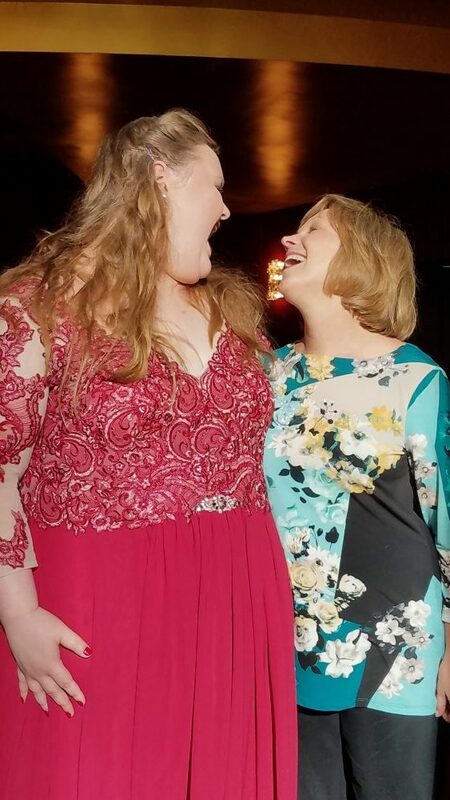 Krupp, a Mezzo Soprano, says she knew UNCG was the right place for her, from the moment she met Dr. Carla LeFevre, Professor of Voice. “The right teacher is crucial for your vocal development. I had a lesson with Dr. LeFevre and knew immediately that she was the right fit. I also loved the fact that UNCG put on multiple opera productions each year. I got very lucky and performed multiple roles by the time I left. This helped me immensely going into my Masters degree at Indiana University and beyond! While at UNCG, she performed in over 10 operas, including UNCG’s 2014 production of Mozart’s The Marriage of Figaro and the inaugural season of Greensboro Light Opera and Song’s production of Gilbert and Sullivan’s HMS Pinafore. And on Sunday, she’ll perform the role of a lifetime- that of a Grand Finalist on the Metropolitan Opera stage. Brava Gretchen! UNCG is cheering for you. The Metropolitan Opera National Council Auditions take place in 42 Districts and 12 Regions throughout the US and Canada. Started in 1954, the annual competition has helped launch some of opera’s greatest stars. Some notable past winners include Renee Fleming, Stephanie Blythe, Thomas Hampson, Eric Owens and Frederica von Stade. This entry was posted in Alumni, College of Visual and Performing Arts. Bookmark the permalink.